Design a unique phone cases made of wood. Made from bamboo combined with a polished plastic. 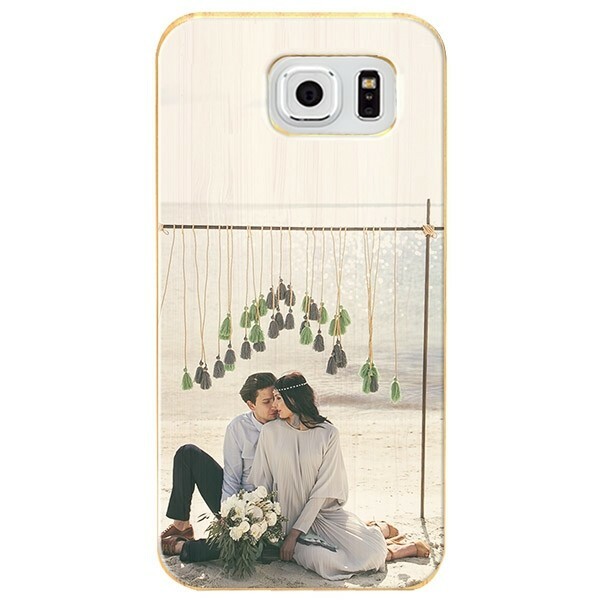 Create a unique Samsung Galaxy S7 case. A wooden case is an eye-catcher! Who expects a phone case made of wood? 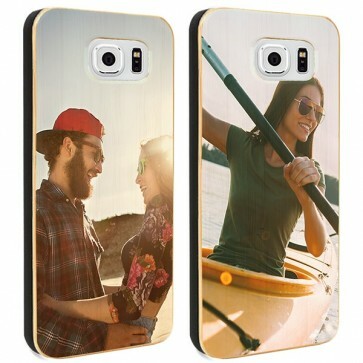 Wood is a very reliable material and therefore extremely suitable for the protection of your phone. The robust appearance of wood gives your phone a cool look and makes your phone an absolute eye-catcher. The cover opens up so that you can easily use the device buttons of your phone. The wooden appearance is preserved. Of course it would be a shame if the wood look disappears once your image is printed over top the case. But you need not be afraid, in spite of the printing the rustic wood look is preserved! We can achieve this by the use of advanced printing techniques. So you can make a Samsung Galaxy S7 cases at ease and use any photo or image that you desire. Concerning the use of photos and graphics, you can now upload photos and images from Facebook and Instagram. If you just want something completely different, it is also possible to use our own designs and colours. We go straight to work once you have placed the order. The case will be printed very quickly and sent in unique GoCustomized packaging. You can expect your order to arrive quickly at home. 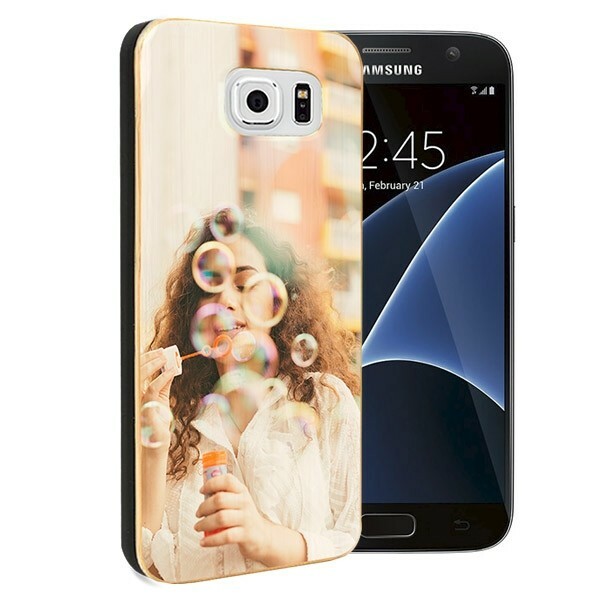 If you get your Samsung Galaxy S7 case and still have questions, you can always ask our support team. They are ready to help you!